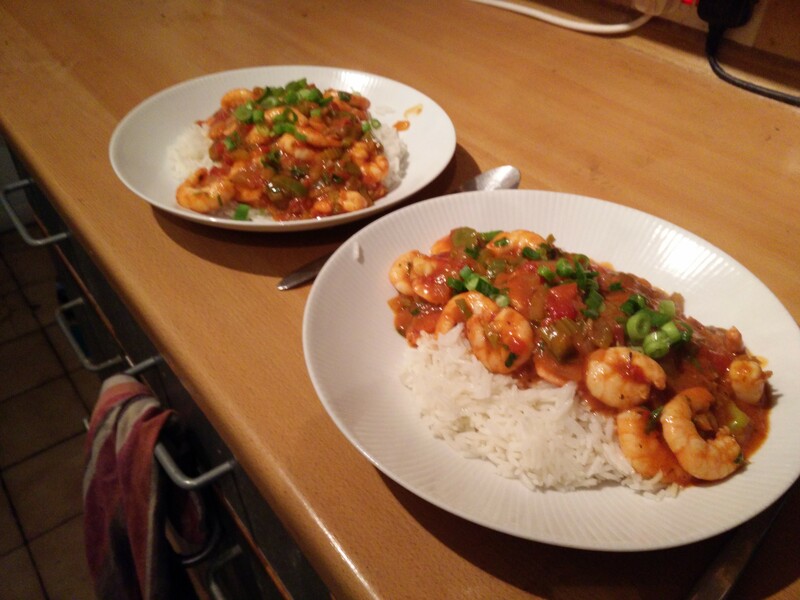 Prawns are great low calorie protein, and work very well in spicy tomato sauces, in this case Creole. 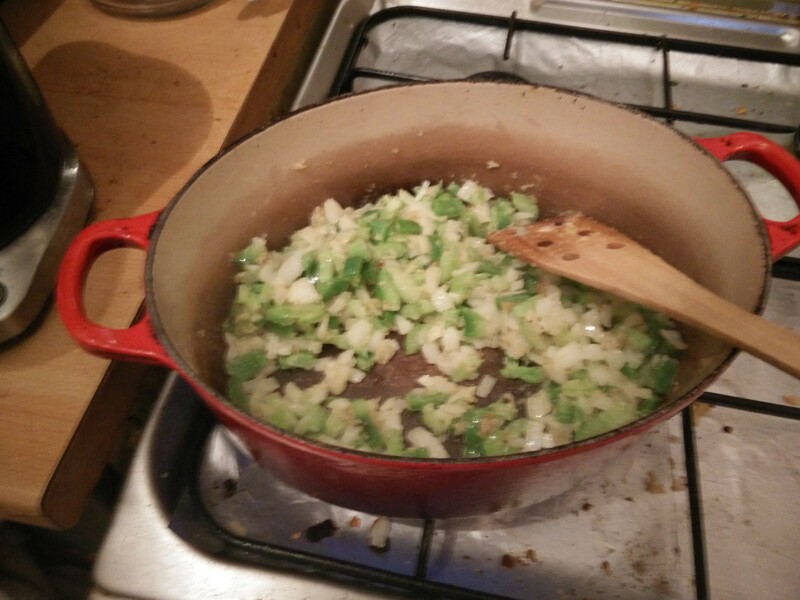 Like many southern USA dishes it starts with a roux and their trinity of veg: onion, celery and green peppers. After that it’s a mix of spices, wine and chopped tomatoes, and then almost like an afterthought the prawns to in to cook, with lemon juice going in at the end. All delicious, although it could have been a little spicier. I did up the spice from the recipe, but I should have known Cook’s Country wouldn’t be spicy enough for us!